SAN FRANCISCO (KFSN) -- The costs of dealing with last year's near-disaster at the nation's tallest dam have reached $870 million, California officials said Friday. The figure for emergency response and repairs following the crisis at Northern California's Oroville Dam should stand, said Erin Mellon, spokeswoman for the state Department of Water Resources. The total was pegged at $660 million in October. Both spillways at the 770-foot (230-meter) earthen dam collapsed in February, forcing evacuation orders for nearly 200,000 people downstream. Fears of massive, uncontrolled releases of water did not happen, and residents were allowed to return to their homes within days. A report by independent dam-safety experts blamed the crisis on state operators' and regulators' "long-term systemic failure" to recognize built-in design and construction flaws in the half-century-old dam. 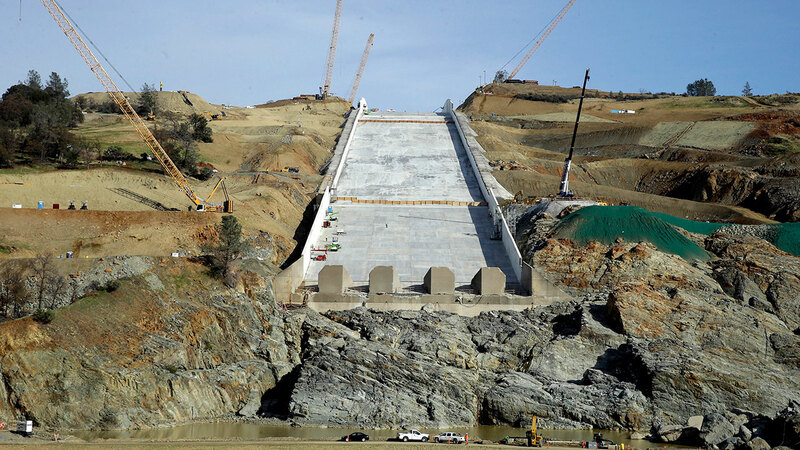 Mellon says California still hopes federal emergency funds will cover three-fourths of the cost, which includes about a half-billion dollars the state is spending to repair and improve both spillways. Friday's jump in the overall price tag comes from expenses that include the removal of massive amounts of debris left by the torrents of water released from Oroville's reservoir during the crisis, Mellon said. Other new costs in the total include moving power lines connected to the dam's hydroelectric system and building access roads for repair crews. The price tag does not include more than $1 billion in legal claims filed by property owners downstream, Mellon said. The water behind Oroville Dam is part of a complex north-south delivery system that serves millions in central and Southern California. The state still intends for water contractors who draw supplies from that system to pay any emergency costs refused by the Federal Emergency Management Agency, Mellon said.